Floundering Philadelphia 76ers point guard Markelle Fultz is reportedly at the centre of trade negotiations with the Cleveland Cavaliers as the 2017 no.1 draft pick’s tragic saga in the NBA wages on. A day after multiple reports surfaced claiming the struggling 20-year-old was no longer in the Sixers’ long-term plans, in part due to the injection of All-Star Jimmy Butler, it is rumoured the Cavaliers have reached out to Fultz’ camp regarding a possible move west. Once with the brightest of futures ahead of him, Fultz’ time in the NBA has been heartbreakingly plagued by incessant shoulder complications and a highly controversial decision to alter his college shooting technique that has all but rendered his game broken. Fultz’ agent, Raymond Brown, has reportedly suspended him from all play until consults a shoulder specialist in New York. Brown denied those reports along with whispers of the 76ers moving on from their once bright prospect, but it is believed the Cavaliers have indeed engaged Philly in trade talks, per Sam Amico. A series of reports recently suggested the 76ers’ were interested in the Cavs’ championship-winning veteran shooter Kyle Korver, with a straight-stop for Fultz looking a plausible option. "They have repeatedly been linked to Cavs veteran sharpshooter Kyle Korver,” the report claimed. The move would see Fultz’s tragic time with Philadelphia at an end, having played only 33 games since he was drafted, with the renewed hope of reigniting his career with NBA superstar Lebron James’ beloved former team. A fresh start could be what the doctor ordered with many stars having successfully revitalized their careers in a move to a different franchise, providing his shoulder health. 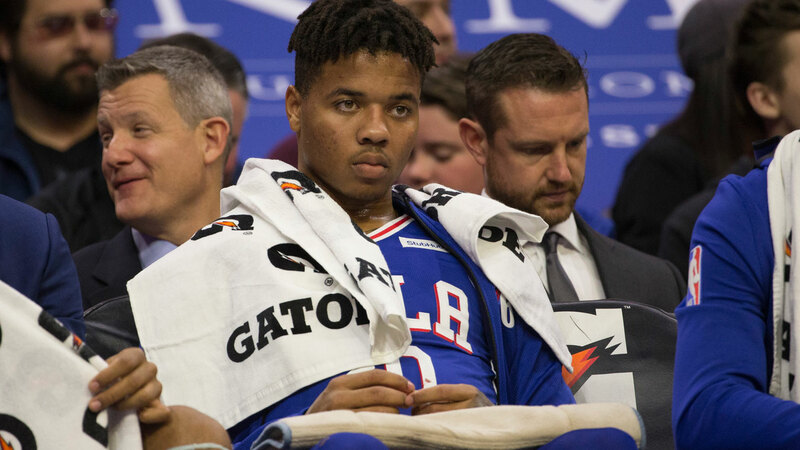 However, Sixers coach Brett Brown and general manager Elton Brand both said that news of Fultz continued ailing injury came a surprise to them. “There’s nothing we saw medically that didn’t allow him to play,” Brand said after practice on Wednesday. 76ers pundit Stephen A. Smith called for "an investigation" into the franchise's upper management as to who set in motion the botched re-work of Fultz's shot.